You can no longer “think pink” by assuming that all women are the same and all they want are pastel colored products with hearts and flowers on them. Generational experiences, lifestyle choices, and demographic characteristics combine to define the filters through which women make buying choices. Lisa Johnson and Andrea Learned are co-founders of ReachWomen, a firm specializing in the behavior of women as consumers. 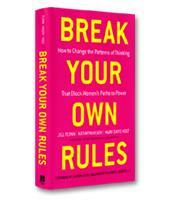 By examining the different ways women think and how companies can engage women with visible and transparent marketing campaigns, Johnson and Learned show marketers how to stop thinking pink and start working with women to determine what they want. How to retrain your brain and stop thinking pink. When to use visible or transparent marketing campaigns and when to use a hybrid of the two. How the brains and minds of women work and how that affects their purchasing processes and decisions. The influencers and buying filters of different generations of American women. The influencers and buying filters of American women at different stages in their lives. The influencers and buying filters of emerging majorities and ethnicities. How to leverage learning curves and life transitions to market correctly to women's needs when they emerge. How to work with women and make them your marketing partners as you develop and evaluate new products and services.